Free Web Tips | Building, Marketing and your Approach. | by Small Business Helper. You don't travel without good reason, equally you shouldn't build a website without purpose. You rarely travel without having a destination in mind. Your Clients are your destination, know 'what they look like' and 'where they are' in order to find them. Packing and preparing for your destination helps ensure All's Well during your journey and also When You Arrive. 'How' do you get there? Some potential passengers are waiting at bus-stop's or calling for taxi's - anticipating 'where your potential passengers are' is key. PROBLEM: What can/should you expect from your website? GUIDE: At it's most basic a Webpage is a 24/7 flyer. At it's best, it's a business in itself. 24 / 7 info & contact. Draft a word doc on what you'd like your site to do for you. PROBLEM: Your website needs to get found by the right people/prospects + get found lots + turn your visitor into an enquiry. Know your searchers problems and plan content that solves. A map if you like. Like most things in life, if you can't see where your aiming how can you get there? Start walking and hope for the best? or worse, waste lots of money trying many and wrong directions? Once you know 'who' your website needs to attract, you'll be clearer on the appropriate 'web content' and even 'marketing vehicle'. Owners and Decision Makers of Small Businesses. Our web marketing attracts such visitors. Once they arrive here, this website aims to deal with their typical issues. Have you produced an Ideal Target Profile? Who is your likely ideal customer? What are 'their problems' that 'your product' solves? PROBLEM: What web content do you write? + How do you structure it all? (including naming of pages) + and Why? Categorise your keyword/phrases (identified in Step 2) by offering. Call us for our free 'Page Planner' template to be sent out (no obligation). Write your content into our free Page Planner Document. What answers and guidance will they like? What options do you provide? your buyer or influencer will have found the option suited to them! Their next step can only be Contact. Before someone is ready to buy, the proceed through certain stages. Consider the following when writing your content. Whether pre-sales or post-sales, re-thinking your content is always a good thing. Perhaps a smarter 'Contact Form' could include tick boxes that promote/cross-selling your other offerings? Or offer more ways for people to buy - many battles are won in the plan. PROBLEM: You've a website and need more web visitors, or, to improve your type of web visitors - But your web options are overwhelming, from Social networking to SEO and email marketing. GUIDE: Just as a small car for a long motorway journey can overly cost you money or time, so can the wrong Web Marketing. If a consumer driven business; you might want to especially focus on the likes of Facebook. If getting in front of business owners and/or decision makers, then perhaps LinkedIn. Google AdWords lends itself well to most businesses but MUST BE HANDLED CORRECTLY! Else you likely risk loosing a lot of money. ... however, knowing which are right for you and how & when is the key. Your business offering needs to be in front of 'Business Owners' and 'Influencers' who are ready to buy. LinkedIn is the mosty likely (of all Social Media) to get you instant 'Prospects' to target. that your web marketing hasn't worked the way you'd thought or hoped. " Design, build, change from Free to $70pa. In our experience: a less than 'simple to edit' site = an underperforming site. WHY? Either you grow your 'website content' frequently or you pay someone else to. Easy = Your website stands a better chance if you actually update your website. Weebly's system is the best feedback we've had from all business owners. It's VERY fast & simple to use. Weebly's app makes it easy for you to edit your site instantly, even on the go via your Smartphone. The Free version is very good! - We suggest the all access Pro Account for only roughly $70 a year (this used to allow you to build 10 websites too) subscribe prior to January 7th 2013 as the deal will change for good! What's more, 'IF' you still want support, we know this system inside and out and we can accommodate most issues/customisations for very little cost to you. Here's a shortcut if you're interested to try a free website for your business with Weebly! Do you know how your website achieves such? Ensure you understand 1.where prospects will come from and 2.what they'll do when they get there - Do not assume your web person will be thinking this way!! Do your keyword research before you do anything else, or even better, get us to research & advise on what keywords will likely lead to buyers (it's not as simple as you think). i.e. Do you target any 'suffix forming nouns' at current? e.g.If you are a Builder of Home Extensions... Targeting Googler's searching for "Extension Builder" is more likely to get your site in front of buyers, than targeting those searching for "House Extensions". EG.TARGET > reader; decanter; lighter. EG.TARGET > writer; baker; bootlegger. EG.TARGET > islander; Londoner; villager. A 'person' or 'thing' having a certain characteristic: newcomer; double-decker; fiver. Few lead with business impact considerations. Has anyone advised you of 'THE' Keywords you should be targeting? ...most likely not! ... common mistakes to avoid. TIP 1: Communicate in 3's steps to Clarity. You've heard that people remember things best in 3's? ...always try to communicate in this way. Always try to appeal to Human nature! ... Don't overwhelm your prospect / reader; make their choice clean & simple - these days everyone's increasingly pressed for time. Know what your reader / prospect needs. ... Don't write about yourself, write about the benefits to the reader. Perhaps like most business owners, you've found your website doesn't do what you thought it would? MOST LIKELY FIX ... You need to start with (and get guidance on): What you're target customers are 'searching for' right now in Google. WHY? ... To know the fix it's best to identify the root cause 'How to research a Web Market' - don't start web changes without such! ... think smart, save resources. What's the most effective web advertising for your business? ANSWER: Consider Google Advertising to test out the assumed keyword market (see first column). ... pay us to help you. This page will give you an overview of what we often find ourselves suggesting to business owners. We don't need a website. We had a website and there was no difference to our business. All our work is word of mouth. If your competitors were getting heard or seen more than your business... is that a good thing? Top of Google for £45? ...that'll likely increase your bottom line. Value uncertainty - benefits outweigh the costs. usability means the product will be exercised and therefore benefits will grow. Offer advice, send them useful information and educate them - resell links. How can your website be found by those searching right now if: you've not researched 'who searches for what' of a month? How can your website convince your visitor unless: you know 'what your visitor wants'? So, you can't write about what the visitor wants to see unless you've 'identify the problems they search for' in the first place. ANALOGY: You can knock many doors trying to sell a Ferrari, chances are you'll knock 1000's in your neighbourhood and you'll not sell one. 'How to plan a website'. What Web Business model? How to identify web markets? How to plan a website? How to market my website? It's a tiny bit of our time in exchange for your contact. 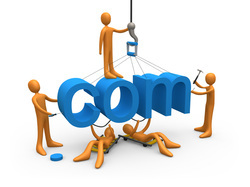 It demonstrates to you some level of our web expertise & detail. You'll like what we we've done so much, we know it's likely you'll engage our services for something else. keywords vs. traffic source, keywords vs. bounce rate, landing page vs. bounce rate, this months performance vs. last months + some other stats and views as we improve this offering + Ask us for anything that you may like in the report. As per our 'free web consultancy' descriptions (on the left), simply request your 1 Free Web Service below. It's likely we'll need to speak with you first; 1. To tailor the freebie + 2. We might need access to your facility (depending what you choose e.g. Analytics).